Jill Andrews began writing professionally for various online publications since 2009. Andrews holds a Bachelor of Science in biochemistry/nutrition from Memorial University in St.John's, Newfoundland. She also holds a Bachelor of Science in occupational therapy from Dalhousie University in Halifax, Nova Scotia. Choline is a nutrient that is essential to maintain a healthy body. Specifically, this nutrient is important for maintaining the structure of your cells, transmitting nerve signals that aid in memory and muscle control, and breaking down fats. Your body can produce small amounts of choline, but you must obtain choline from dietary sources in order to receive sufficient amounts. The majority of choline is found within phospholipids, or fat molecules, called phosphatidylcholine, or lecithin. According to the Linus Pauling Institute at Oregon State University, the adequate intake for choline is 425 mg per day for adult females. Many of the foods you eat may be a source of choline. Most of the choline you consume in food is in the form of phosphatidylinecholine, which is available in dairy products and eggs. One cup of skim milk contains 38 mg of choline, while one large egg contains 126 mg. Other good dairy sources include Swiss cheese, cheddar cheese, cottage cheese and butter. Fish can be a good source of choline. A 3-oz. serving of Atlantic cod can supply you with 71 mg of choline, while a 3-oz. 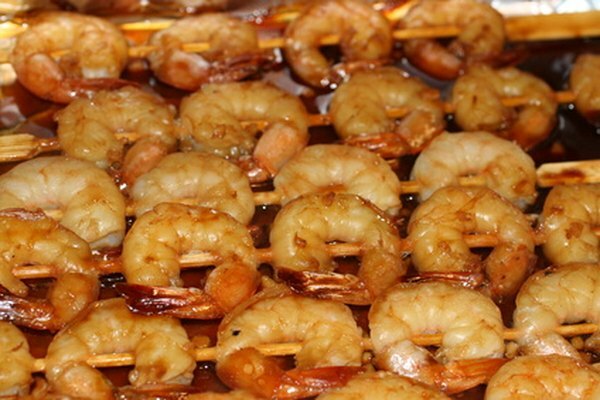 serving of shrimp has 60 mg. Canned salmon can also be a good addition to a sandwich or salad, with a 3-oz. serving containing 60 mg of choline. Meat can also be a rich supply of choline for those who consume it. A 3-oz. serving of beef liver contains 355 mg of choline. Another good choice is 3 oz. of a trimmed cut beef portion with 67 mg of choline. To boost your choline intake, beef can be added to stir-fry dishes and salads for a nutrient-rich meal. Nuts and nut butters are also good sources of choline. Peanut butter can offer you 20 mg of choline in a 2-tbsp. serving. Nuts, such as almonds, walnuts and cashews also contain choline. Other sources include milk chocolate, wheat germ, broccoli, Brussels sprouts, potatoes, avocados, kidney beans, navy beans, brown rice, white rice, oat bran and molasses.